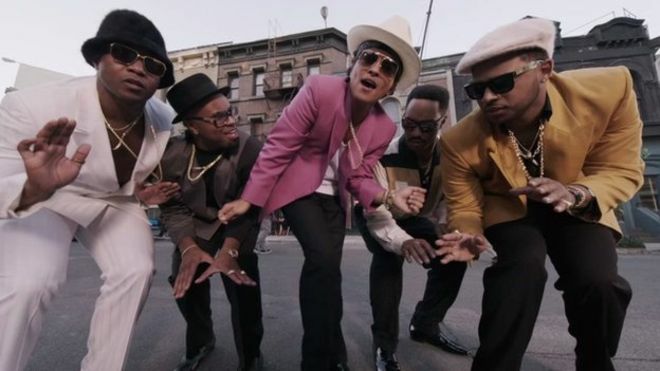 (Billboard) – Songwriting credits for “Uptown Funk!” went to four people initially: Mark Ronson, Bruno Mars, Phillip Martin Lawrence and Jeffrey Bhasker. However, before the song was even released it had gained two more: Nicholas Williams (AKA Trinidad James) and producer Devon Gallaspy, the authors of “All Gold Everything,” both receiving a share for a sampling interpolation. This credit was shared at the behest of the original songwriters/publishers; Billboard’s sources say the team behind the hit reached out to Gallaspy and Williams without prompting. Gallaspy and Williams spit a 15 percent take, leaving the original four songwriters with a 21.25 percent share each.